Posted March 7th, 2013 . Aww! What faces! 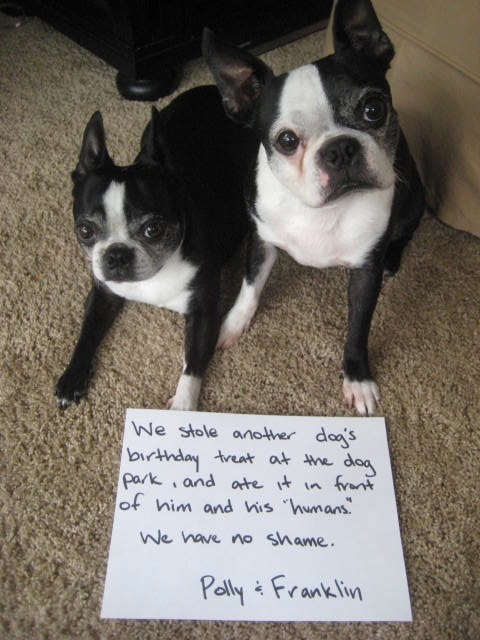 I can’t say I blame them really, giving anyone a treat–birthday or otherwise–at the dogpark seems like asking for trouble. They just wanted to teach the other dog how to share! So there!